Questions? of course! Many people don’t book a DJ very often. 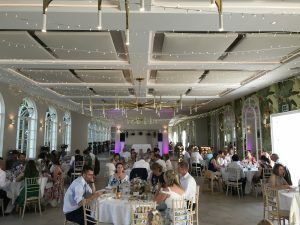 It’s worth reading our ‘Wedding DJ‘ or ‘Party and Events‘ pages too, as they give lots of information. Some answers are here, if not please get in touch. As early as you can, especially for summer wedding dates or Christmas and New Year dates. Many customers book months, a year or even two years ahead to ensure they get us. If it’s a date that’s close, it’s still well worth getting in touch, as we have a few DJs, so sometimes there is one of us free for later bookings. We’ve decided we want you. What do we do to book? It’s simple, get in touch, we check availability, if its good, we take a deposit, and your contact details and you are booked! Nearer the date we’ll have a chat to go over all the timings and music. Feel free to keep in touch in the time in between, if you need help on party planning etc. Torn between DJ or band? A quality DJ has a much more extensive repertiore than most bands. A DJ can offer thousands of songs over every style imaginable. Even the bests bands only know maybe 50 songs, and can only play those styles that fit in with the instruments and skills they have. A good band, costs a lot more than a similar grade DJ too, the main thing with bands, is that they will only tend to play for 90 mins or 2 hours, the average evening event is 4 to 5 hours, a DJ will fill the entire time. Some bands offer fill in music or ‘dj’, but this is almost always an ipod with a playlist, it doesn’t offer any atmosphere, or flexibility. If you are set on a band, why not have both? We work with bands often, to create a full and varied night. We are more than capable of filling your entire evening with quality entertainment on our own though. Our setup is clean and tidy and will look super in the background of your first dance photos too. Most classy events these days do not want a cheesy, waffling, banter filled evening! Equally a rigid DJ who doesn’t say anything at all is not that inviting or very approachable either. We carefully balance our mic input based on the event and what’s needed. Some events need more, some hardly any. What there will not be is a 1970s style DJ talking at the end of every song and making jokes at guests expense, that time has long since passed now (unless you want it of course, at a theme night etc). For a Wedding or Party DJ, experience is king, as is passion. All of our DJ’s have many years of experience, it really does count and make the DJ better, more professional and able to deal with all type of crowds and situations. A young, new startup may seem hip and cool, but it takes years to become even half good at the mixed crowds a wedding/party brings. Experience is highly important, and all our DJs have lots! Will you play music we like? Always! We actively encourage you to let us know your tastes and styles, to add into the evening. Our DJs are highly skilled and can work with your choices and add in our own selections to ensure a seemless night of music to entertain all. We try to give all guests something to dance to, with a big nod to your tastes and styles. For theme nights and regular parties, the music is even more flexible and will be selected to suit the occasion perfectly. What time should we have our first dance/start the party? Don’t do your first dance too early. The ideal time is around 8pm from our experience. Never do it before the evening guests arrive as they’ll be upset they missed it, and you’ll be on and off the dancefloor to meet new arrivals. We will provide atmospheric background music before the first dance to build the party up. Similarly with non weddings, don’t have it booming whilst people arrive and catch up, give it a time for everyone to have a drink and greet their friends first. We love house, techno, hip hop, rock, metal, indie, r&b…..etc, will you play it? Absolutely! We take pride in the fact we will play more diverse styles, whilst we always keep an eye on the party to ensure everyone is catered for, less mainstream music is often just what a party needs to keep going all night. If you are into something interesting, we try to have a bit of a ‘session’ as the evening progresses. Similarly for theme nights, we can cover it, no matter what you have in mind. Will the DJ mind if we playlist the entire night? This can really stunt a party. A wedding reception or party night is a mix of all types of people who will be into many styles of music, we try to cater for all. 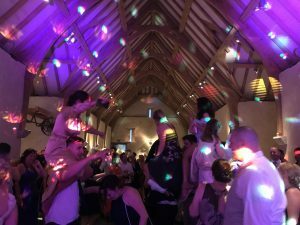 If a party is strictly playlisted (and we have done these), it is then not using the DJ to the best of his ability and what seemed great when planning your list, is often not the same on the night with a room of people. We like to take a list of approx 20 songs to work into the night and use our skills to keep the energy going and keep everyone entertained for the rest of the night. Saying that if you really wish a strict playlist, we will happily comply of course, as it’s your night. How many songs would be played during a 4-5 hour party? It works out at around 17-18 songs per hour, so approximately 70–80 songs on average. Can we ban certain songs or styles? Yes indeed, this is no problem at all. We like some of the options on the Extras page, can we add them later? Yes absolutely, subject to availability, you can add extras like uplights, monogram etc, if you find your budget allows at a later point. Availability is better if you book at the start though. How much will it cost and are you competitively priced? Yes very competitive like for like. We offer a skilled and quality service, so prices are not bargain basement, we however tend to be on the lower side of quotes for similarly higher end services, we hope to have the perfect balance of high quality and good value pricing. Pricing varies, depending on length of event, distance to travel, size of venue, we can do large or small, close or distant, we are highly flexible. The Prices page gives some ideas, but get in touch for a personal quote. What if the DJ is ill or has an emergency? Luckily there are a few of us, so we tend to keep someone on standby just in case. We have an extensive network of colleagues to call on too. We’ve never let anyone down ever. Our venue requires Public Liabilty Insurance, do you have this? Luckily cancellations are rather rare. The deposit is our guard against loss, as once you book, other enquiries are turned away. If you need to change your date, we will move your deposit to the new date. If you need to cancel completely, unlike most suppliers, we do return the deposit it if the date is filled with another booking. Got another question? Please get in touch. 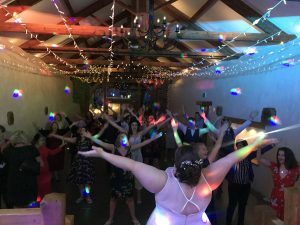 Copyright © 2018 Perfect Weddings DJ's | Retrodisco Exeter, Devon | Mobile Disco and Wedding DJ Service.